Elloa the rantosaurus is a public nook on Anook. Sign up to join this nook or create your own public community or private hideout for your blog, forum, guild or anything else you like. Lately, my mood and moral go up and down. Sometimes very down. I needed to find an activity that would offer me comfort and gentleness. Something that would be as inspiring as a hug, where I could feel safe, and not lonely. I needed a game where I could lose myself in beauty and feel happier, even only by myself. Final Fantasy is the perfect game for that. It inspire kindness and joy. It's one of the only game where you can see your character truly smiling, and where you can hug other players for real. The music, the oniric landscape, or even the dialogue between the NPCs, make you think of a better world. Its also a game that I always regretted to not have been part of, when it was highly played in Whitestar. I know this game is highly praised for many aspect, including the complexity and the depth of the "old school" combat system. So, I decided to resubscribe to that game and to continue to discover it. I've been very lucky to be able to play with @LunaDra who gently assisted me to complete some steps of my personal quest. We did some dungeons together and it was great! It put a nice sunshine in my day, and I was glad to share some privileged game time with a very sweet friend. The spoil of the day didn't stopped there, as @Aeyvi joined me later. She toke me for a tour of the Golden Sauce where I had never been before, and explained me all games we can enjoy there. We had a very nice discussion about the game as we unlocked some other features such as the Palace of the Dead and the Challenge Log. This will allow us to spent more time together in the game, and allow me to truly discover Final Fantasy. It was very nice to be able to spend some time with you @Elloa, thank you. As I mentioned before, if you can see a glimmer of the reason I enjoy this game as much as I do, I will be very happy. You capture the essence of what makes this so special in this post.. the interaction, the environment, the beauty and immersion.. Maybe the combat is not the most fun and maybe its a frustrating levelling system in the game but it builds your character into an investment rather than a 'drop and pick up character'. You journey from noob adventurer to something powerful, and the story involves you in such a personal way. I want go into a rant but I'm glad you have managed to find some peace in Eorzea and if I can help in any way I will be here, just poke. My pleasure! And I will continue to accompany you on your journey the best I can. 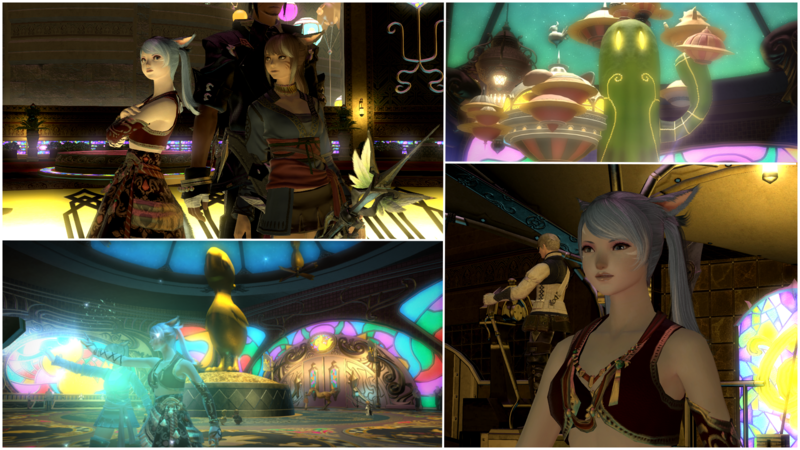 I am very, very happy you're feeling good in FFXIV and that those two wonderful ladies shared you company! It indeed feels so different and special with the emotes, that you can really hug somebody or share your joy and such. It feels more real than in other games. 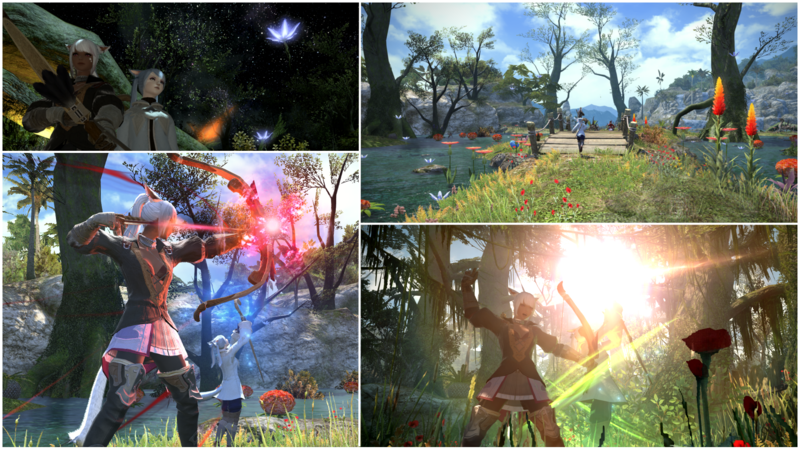 It's really great to hear you enjoy your time in Eorzea! And a big HOORAY for reuniting with Aeyvi & Luna!